Eat Up These Literature Tins! Looking for a great idea to do with your kids to tie in some of the literature you’ve been reading? Well then you have to head over to Sycamore Stirrings for one of the most innovative ideas I’ve seen in a while! 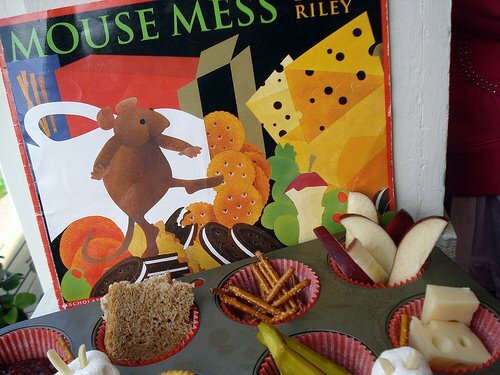 She shows you how to tie in food and treats with the books you read in a really fun and cute way…and your kids can help! Katy has ready made tins for many popular books and she also hosts contests for her readers with different themes. Be sure to check this out! Next post: Start Your Kid’s Day With Cheerios and a Free Book!